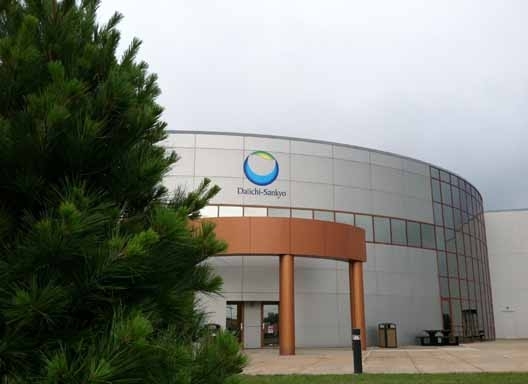 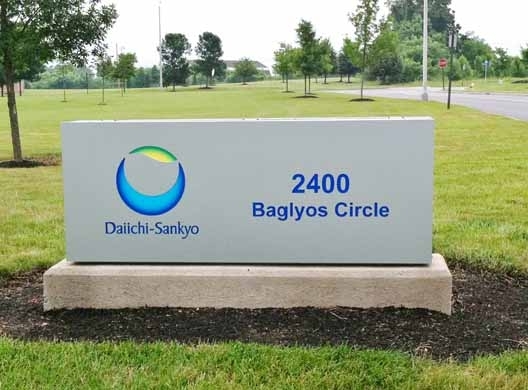 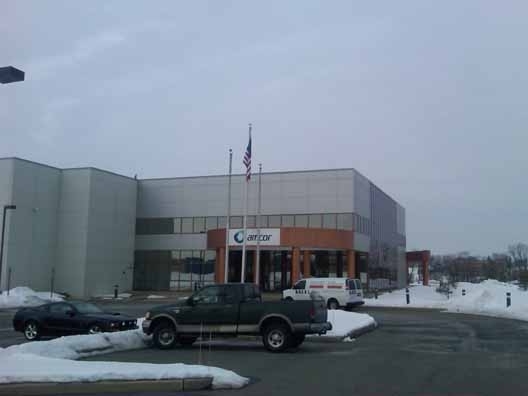 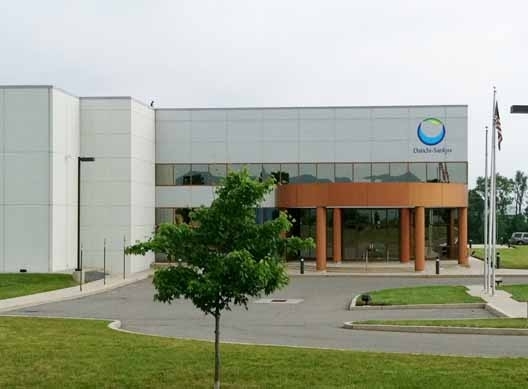 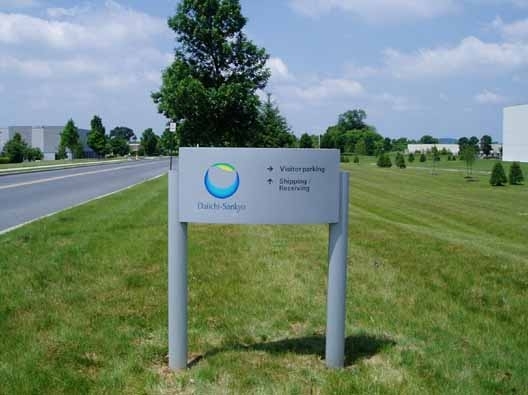 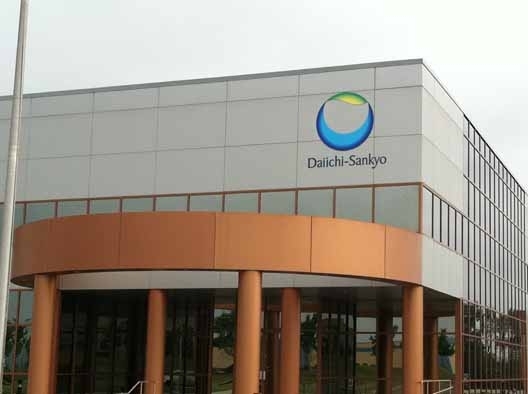 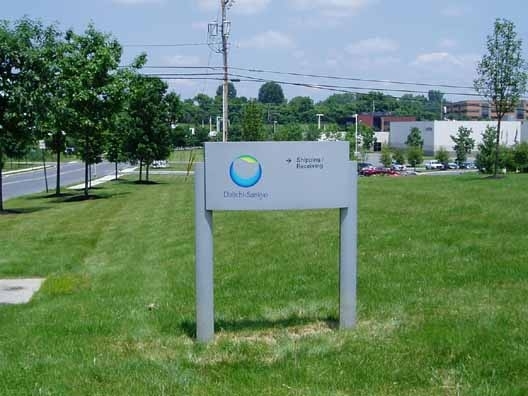 When Daiichi-Sankyo purchased a packaging facility in Bethlehem, they needed to badge the facility with their logo in multiple places. 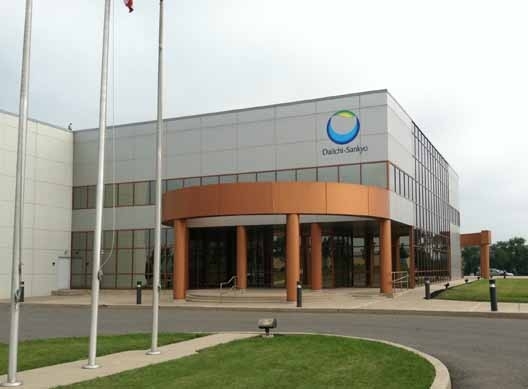 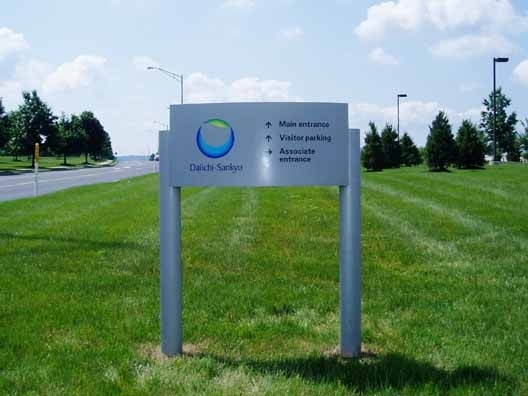 Existing signage contained information from the prior owners, and a change was in order. 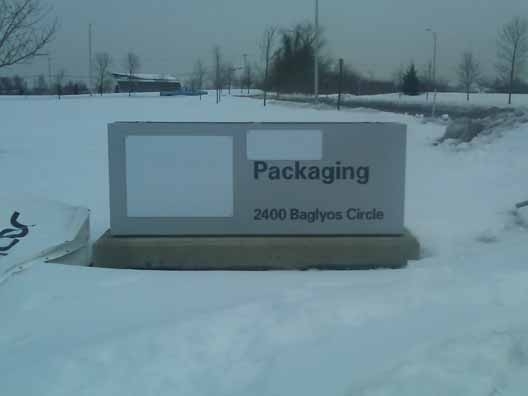 Several on-site directional signs were rebadged with new digitally printed vinyl. 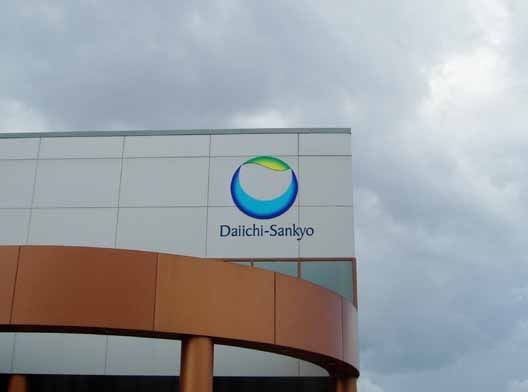 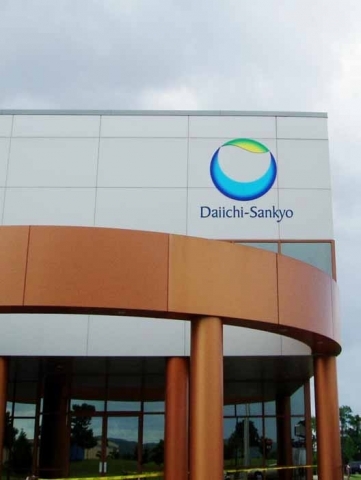 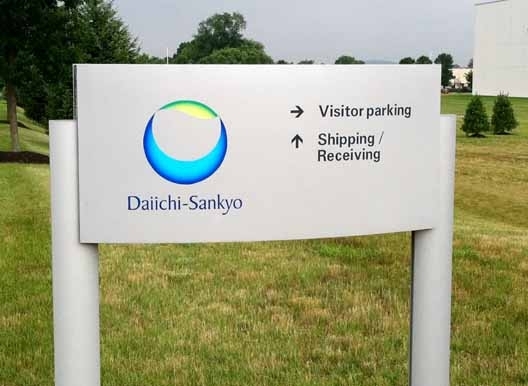 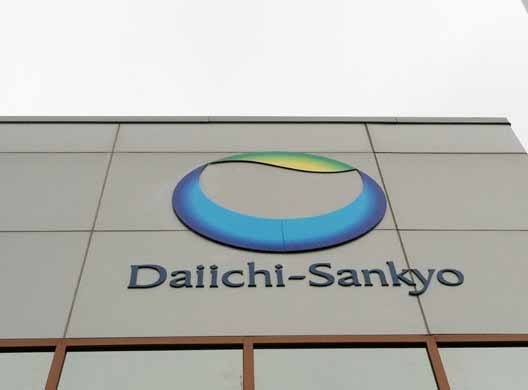 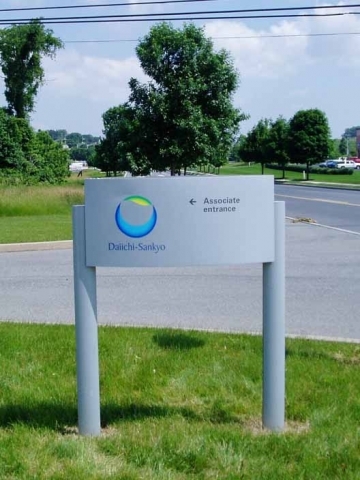 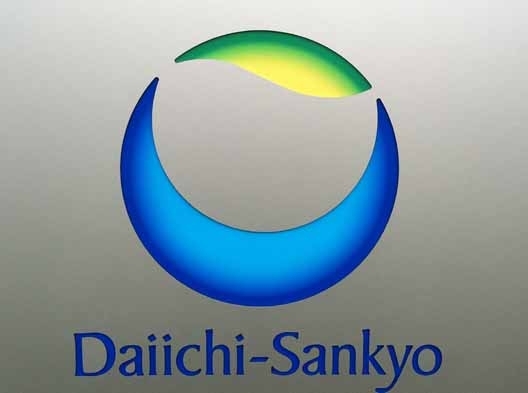 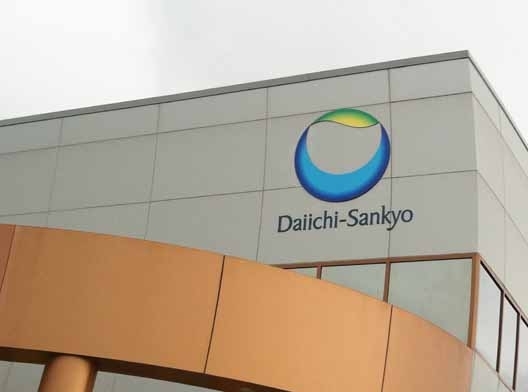 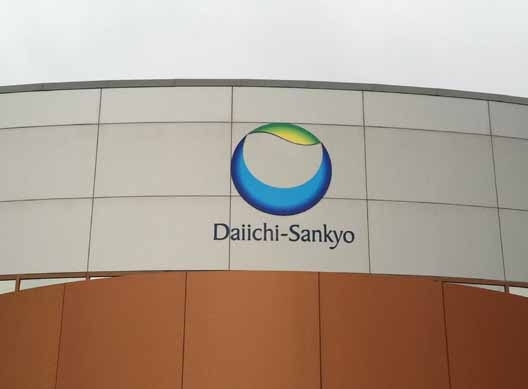 The aluminum-faced monument sign at the main entrance needed to have both faces replaced and recut with Daiichi-Sankyo’s name and logo. 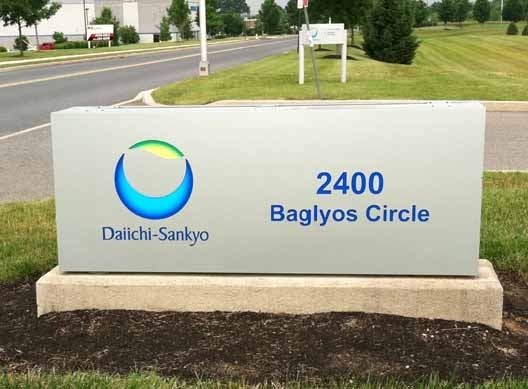 The large 6’ circular logo and 16” high letters for the two building logos were fabricated in-house and painted and installed to recreate the appropriate signage.